No batteries required! Press right or left buttons to push the rings to catch on the posts and score! 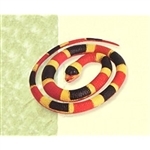 Flexible rubber snake with life like design. Slithering fun! 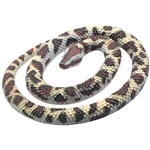 Rubber Rock Python Snake 26"
Contains over 50 3/4� stars. Adhesive included. Giant inflatable globe is 20" in diameter! Learn location of all the countries or use it as a ball! Great fun at home on in the classroom. 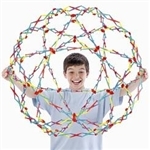 It's the original Hoberman toy and it's now a classic and a favorite of kids and adults everywhere. It expands from 9" to 30" in diameter with a magical motion that amazes everyone that sees it.